Background: Introduced in DSM-IV, acute stress disorder (ASD) is a psychiatric diagnosis characterised by severe anxiety, dissociation, intrusive thoughts, and other symptoms occurring within one month of experiencing a traumatic event. Research indicates that ASD may place individuals at increased risk of developing chronic posttraumatic stress disorder (PTSD). There is growing evidence that increased media exposure to traumatic events is a risk factor for the development of posttraumatic symptomatology. Aims: We hypothesised that in the aftermath of a natural disaster, excessive exposure to television and Internet coverage might be a risk factor for ASD. Methods: Using a cross-sectional study design in a sample of 300 medical and nursing college students exposed to an earthquake, ASD was assessed with the Stanford Acute Stress Disorder Questionnaire (SARSQ) and media exposure by an interview to capture exposure to earthquake-related news via television and Internet. Results: Thirty six students developed ASD (12%). The odds of greater exposure to earthquake-related content via television was 1.93 times more (95% CI 1.02-3.66, p-value=0.042) and Internet 2.28 times more (95% CI 1.18-4.41, p-value=0.015) in students who developed ASD than those who did not. Conclusions: Our findings suggest that excessive exposure to earthquake-related media content via television and Internet in its aftermath is associated with a statistically significant risk of developing ASD. Keywords: Posttraumatic Stress Disorders. Television. Internet. Earthquakes are one of the most dangerous of natural disasters due to their life-threatening, unpredictable, and uncontrollable nature. They cause such a widespread devastation that it leaves the survivors at risk for injury, loss of property, homelessness, and dislocation. [2,3] Apart from the immediate threat to life and property, the psychological morbidity is far-reaching and ominous with both short and long-term consequences. In various cross-sectional studies of selected subgroups following disasters, the prevalence of psychological distress and mental health problems, in particular, posttraumatic stress reactions, has been estimated to vary between four per cent and 80%. [5-9] These reactions can encompass a wide range of disorders like acute stress disorder (ASD), posttraumatic stress disorder (PTSD), adjustment disorders, depression, alcohol and drug abuse. Sikkim, a northeastern state of India, is known to be part of a seismically active region of the Alpine-Himalayan belt. This region has witnessed three earthquakes in the past five years. [10-12] The most devastating of them was the 2015 Nepal earthquake (April 25th) with a magnitude 7.9, killing more than 9,000 and injuring nearly 21,000 people. Though Sikkim experienced aftershocks and tremors during the quake, there was no major damage to life or property. However, the ‘‘psychological footprint’’ of disasters can extend far beyond the geographical boundary, affecting people distant from the scene who are exposed to the aftershocks of the quake. This was witnessed by the doctors who treated people rushing to the emergency services of hospitals with symptoms ranging from panic attacks, somatization, sleep disturbances, phobic anxiety symptoms in the aftermath of the earthquake. ASD is a relatively new diagnostic entity introduced in DSM-IV that includes a set of symptoms experienced by some individuals shortly after a traumatic event (natural calamities like earthquakes and floods or man-made calamities like terrorist attacks). To be diagnosed as suffering from ASD (DSM-5) the individual must exhibit nine or more of 14 symptoms from any of five categories of intrusion, negative mood, dissociation, avoidance, and hyperarousal after the traumatic event lasting for at least three days. The scientific basis for the diagnostic category of ASD was justified by research showing that acute stress reactions immediately after a traumatic experience predict later PTSD. [15-18] Classen et al. reported that 33% of a sample of 36 respondents who had witnessed a traumatic event developed ASD within eight days of the event which predicted the development of PTSD seven to ten months later. Birmes et al. in a prospective study reported that two weeks after a traumatic event, the presence of ASD accounted for 33% variance of PTSD, three months later. The importance of identifying ASD is underscored by the fact that psychological interventions can be targeted to these individuals in the early stage, thus preventing the occurrence of chronic PTSD and its comorbidities. Doctors and nurses in the course of their profession treat victims of physical and psychological trauma. When repeatedly exposed to victims of mental and physical violence, trauma or catastrophe, professionals can develop disruption in personal beliefs regarding safety, personal vulnerability, the benevolence of the world, and feelings of powerlessness. This takes a toll on their psyche, leading to depression, burnout, indirect PTSD, and other psychological complications. [21-24] This phenomenon has been referred to as vicarious traumatisation, secondary traumatisation, or compassion fatigue. Hence, it is imperative that healthcare providers be resilient and prepared to tackle traumatic experiences of their patients at the level of their training as students. This study thus assumes special significance in this population. Following the terrorist attacks in September 2001 in the U.S., a nationwide survey found that exposure to the televised live broadcasting of the attacks was associated with increased risk for short-term PTSD symptoms. Similarly, a three-wave longitudinal study of young adults evacuated from Israel-Gaza border to distant areas with minimal exposure to missile attacks found that posttraumatic stress symptoms were reported by 20%. Thus, indirect exposure to images and news of traumatic events can lead to the development of stress-related psychopathology. This is especially the case in a population which has experienced the catastrophe of a disaster to a lesser degree that falls short of being qualified as a threat to life or serious injury. In this study, we wanted to explore the association between exposure to televised material and Internet content related to the earthquake and the subsequent development of ASD. The sample consisted of 300 (150 MBBS and 150 B.Sc. Nursing) students. To exclude the effect of gender on the outcome we included only female students in our study. This was a cross-sectional, quantitative, non-experimental study. Students who were present in Sikkim during April 2015 and experienced the aftershocks of the Nepal earthquake and those who provided a written informed consent were included. Students who actively used cannabis or other hallucinogenic drugs, who had experienced a brief psychotic episode in the past month, and those who had lost a relative or friend to the Nepal earthquake were excluded from the study. The study was conducted four weeks after the earthquake. The study was cleared by the institutional ethics and research protocol committees. SASRQ is a 30-item instrument with questions relevant to the diagnosis of ASD. It includes a description of the event, how disturbing it was, and how many days the individual experienced the worst symptoms. SASRQ has items on (a) dissociation (subjective sense of numbing, detachment, and emotional unresponsiveness, reduced awareness of the surroundings, derealization, depersonalization, and dissociative amnesia (ten items in total), (b) re-experiencing of trauma (six items), (c) avoidance (six items), (d) anxiety and hyperarousal (six items), and (e) impairment in functioning (two items). It is scored according to a Likert-type scale (zero to five). A symptom is scored as present if the respondent marks it as occurring at least “sometimes”, which includes a response of three, four, or five on the zero to five scale. The reliability of the SARSQ ranges from 0.80-0.95 with a test-retest reliability of 0.69. The DSM-5 requires nine or more symptoms from any of the five categories of dissociation, re-experiencing, avoidance, increased arousal, and negative mood lasting at least three days for a diagnosis of ASD. Media exposure to earthquake through television and Internet were assessed separately. Respondents had to rate on a four-point Likert scale (zero=very rarely, one=sometimes, two=often, three=very often) on the time spent on viewing earthquake-related damage to persons and property. Statistical analysis was performed using Minitab 17 Statistical Software. Descriptive statistics (mean with standard deviation and percentages) were used to describe the baseline data of the sample. Pearson’s chi-square test was used to find if there were significant differences between those who did and did not develop ASD on categorical variables such as religion, ethnicity, field of study, exposure to earthquake-related content on the television and Internet. Ordinal logistic regression was performed using the response to television and Internet exposure as ordinal Y responses (very rarely=zero to very often=three) to test the direction of the association between developing ASD and media exposure. 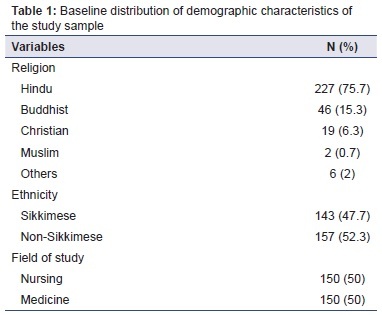 Table 1 shows the baseline sociodemographic data of the sample of 300 students. The mean age of the sample was 19.6 (SD 1.1) years. Of the 300 students who participated, 36 had developed ASD (12%). Table 2 compares the differences in age, field of study, nativity, and religion among students with and without ASD. Student’s t-test (age) and chi-square tests (categorical variables) did not reveal any statistically significant differences between both groups. Table 3 compares the responses to media exposure to earthquake via television and Internet in students who did and did not develop ASD. Exposure to earthquake-related damage via television and Internet differed significantly between students with and without ASD (television exposure: Pearson’s chi-square=13.945, df=3, p-value=0.003; Internet exposure: Pearson’s chi-square=10.682, df=3, p-value=0.014). The results of ordinal logistic regression indicate that the odds of having greater exposure to earthquake-related content via television in students who developed ASD were 1.93 (95% CI 1.02-3.66, p-value significant at 0.042) times more than students who did not develop ASD. Similarly, the odds of having greater exposure to earthquake-related Internet content in students with ASD were 2.28 (95% CI 1.18-4.41, p-value significant at 0.015). Thus, increasing exposure to television and Internet earthquake-related content is associated with a statistically significant risk of developing ASD in this population. Since the advent of 24-hour news coverage, the competition among television channels to announce “breaking news” headlines every hour has led to high decibel sound bytes to sensationalise events with scant regard for ethical and moral codes. In the aftermath of the Nepal earthquake, the Indian media was criticised on twitter with #GoHomeIndianMedia for it’s over the top sensationalisation and patronising coverage of the calamity. There have been numerous instances starting from the 2008 Mumbai terror attacks to the seasonal floods and Tsunamis, where the media has disregarded the plight of the sufferers and gone ahead in depicting gruesome scenes of the tragedy repeatedly in prime time television. In this digital age, access to information is literally available at the touch of a finger through smartphones and tablets. Thus, the world wide web has given the viewer the power to access any specific content of his/her choice and has taken over television as the prime source of news and information even if the content is of questionable veracity. Exposure to the Internet-based images and videos posted by people on social media platforms with easy access to smartphone cameras has revolutionised communication and bypassed the traditional media channels. However, without any governing mechanism in place, this is a fertile place for unrestricted access to the depiction of natural disasters and terrorist attacks. To the best of our knowledge, there have been no previous studies that have examined the impact of media exposure of a natural disaster on the medical profession in term of acute stress reactions. This area has been ignored by researchers despite studies reporting that healthcare professionals are at increased risk of developing posttraumatic stress reactions in their course of caring for victims of human and natural disasters (vicarious traumatisation). We found that 12% of students developed ASD (n=36). The only other study to have analysed the occurrence of ASD in India was following the Mumbai terror attacks in 2008 by Balasinorwala and Shah. They reported an ASD rate of 30% (n=21) in a sample of 70 physically injured victims admitted to a government hospital. These high rates could be due to the nature of terrorist-related trauma that creates more anxiety and helplessness than natural disasters. The other reason for higher rates of ASD in that study could be because the sample studied suffered from physical injuries directly related to the traumatic event. As hypothesised we found a statistically significant association between development of ASD and media exposure to earthquake-related news via television and the Internet. This observation is in concordance with Western literature that supports an association between media exposure and development of posttraumatic stress symptoms. [34,35] Diagnostic systems have traditionally not included indirect exposure to trauma (media exposure) as a trauma criterion for ASD and PTSD. The Nepal earthquake despite not doing any damage to life or property in Sikkim (but for a few aftershocks) still caused ASD in 12% of the subjects, especially those who viewed television and Internet earthquake-related content more than others. These findings, taken together suggest that exposure to disturbing images and scenes of disasters may be at least as traumatic or contribute to the experience of the actual event itself. More research is needed in other parts of the world to substantiate these findings. This study is not without its limitations. The associations observed between media exposure and ASD do not demonstrate causality. It can be argued that extensive media exposure can either be the cause or the effect of acute stress. Only a longitudinal assessment that determined the timing of the development of symptoms in relation to media exposure could address the question of causality. However, ASD and PTSD are characterised by active avoidance of events and memories associated with the trauma. Hence, it is more plausible that those who are prone to develop ASD might engage in avoidance behaviours like not watching the news over television and Internet rather than getting themselves more exposed to such content. Thus, active exposure to such content could not, in theory, be a part of ASD symptomatology but rather a predisposing risk factor. We excluded many confounding factors like students who had lost someone close to the earthquake, preexisting psychosis, and substance abuse that could confound our results. Finally, due to the lack of rating scales that measure media exposure in the aftermath of disasters we used a simplistic measure to determine television and Internet viewing. It is possible that recall bias might deferentially affect the responses between those with and without ASD. As discussed previously, the bias should be theoretically in our favour as ASD subjects tend to avoid memories of events and hence report less exposure than those who did not develop ASD. In conclusion, media exposure to a traumatic event and the potential effects of television coverage and Internet-related exposure to disasters merit further research, consideration, and discussion. Meanwhile, the media channels could be more responsible when covering and televising disasters, keeping in mind the psychological impact it may have on its viewers. 1. Başoğlu M, Salcioğlu E, Livanou M. Traumatic stress responses in earthquake survivors in Turkey. J Trauma Stress. 2002;15:269-76. 2. McCaughey BG, Hoffman KJ, Llewellyn CH. The human experience of earthquakes. In: Ursano RJ, McCaughey BG, Fullerton CS, editors. Individual and community responses to trauma and disaster: the structure of human chaos. Cambridge, UK: Cambridge University Press; 1994:136-53. 3. Bulut S. Comparing the earthquake exposed and non-exposed Turkish children’s post traumatic stress reactions. Anales de Psicologia. 2006;22:29-36. 4. Armenian HK, Morikawa M, Melkonian AK, Hovanesian AP, Haroutunian N, Saigh PA, et al. Loss as a determinant of PTSD in a cohort of adult survivors of the 1988 earthquake in Armenia: implications for policy. Acta Psychiatr Scand. 2000;102:58-64. 5. Carr VJ, Lewin TJ, Webster RA, Hazell PL, Kenardy JA, Carter GL. Psychosocial sequelae of the 1989 Newcastle earthquake: I. Community disaster experiences and psychological morbidity 6 months post-disaster. Psychol Med. 1995;25:539-55. 6. Madakasira S, O’Brien KF. Acute posttraumatic stress disorder in victims of a natural disaster. J Nerv Ment Dis. 1987;175:286-90. 7. Papadatos Y, Nikou K, Potamianos G. Evaluation of psychiatric morbidity following an earthquake. Int J Soc Psychiatry. 1990;36:131-6. 8. Karanci AN, Rüstemli A. Psychological consequences of the 1992 Erzincan (Turkey) earthquake. Disasters. 1995;19:8-18. 9. Kato H, Asukai N, Miyake Y, Minakawa K, Nishiyama A. Post-traumatic symptoms among younger and elderly evacuees in the early stages following the 1995 Hanshin-Awaji earthquake in Japan. Acta Psychiatr Scand. 1996;93:477-81. 13. Shultz JM, Espinel Z, Galea S, Reissman DB. Disaster ecology: implications for disaster psychiatry. In: Ursano RJ, Fullerton CS, Weisaeth L, Raphael B, editors. Textbook of disaster psychiatry. Cambridge, UK: Cambridge University Press; 2007:69-96. 14. American Psychiatric Association. Diagnostic and statistical manual of mental disorders. 4th ed. Washington, DC: American Psychiatric Association; 1994. 15. Cardeña E, Spiegel D. Dissociative reactions to the San Francisco Bay Area earthquake of 1989. Am J Psychiatry. 1993;150:474-8. 16. Koopman C, Classen C, Spiegel D. Predictors of posttraumatic stress symptoms among survivors of the Oakland/Berkeley, Calif., firestorm. Am J Psychiatry. 1994;151:888-94. 17. Bremner JD, Southwick SM, Johnson DR, Yehuda R, Charney DS. Childhood physical abuse and combat-related posttraumatic stress disorder in Vietnam veterans. Am J Psychiatry. 1993;150:235-9. 18. Marmar CR, Weiss DS, Schlenger WE, Fairbank JA, Jordan BK, Kulka RA, et al. Peritraumatic dissociation and posttraumatic stress in male Vietnam theater veterans. Am J Psychiatry. 1994;151:902-7. 19. Classen C, Koopman C, Hales R, Spiegel D. Acute stress disorder as a predictor of posttraumatic stress symptoms. Am J Psychiatry. 1998;155:620-4. 20. Birmes P, Brunet A, Carreras D, Ducassé JL, Charlet JP, Lauque D, et al. The predictive power of peritraumatic dissociation and acute stress symptoms for posttraumatic stress symptoms: a three-month prospective study. Am J Psychiatry. 2003;160:1337-9. 21. Janoff-Bulman R. Shattered assumptions: towards a new psychology of trauma. New York: Free Press; 1992. 22. Sabin-Farrell R, Turpin G. Vicarious traumatization: implications for the mental health of health workers? Clin Psychol Rev. 2003;23:449-80. 23. Baird K, Kracen AC. Vicarious traumatization and secondary traumatic stress: a research synthesis. Couns Psychol Q. 2006;19:181-8. 24. Sinclair HA, Hamill C. Does vicarious traumatisation affect oncology nurses? A literature review. Eur J Oncol Nurs. 2007;11:348-56. 25. Jenkins SR, Baird S. Secondary traumatic stress and vicarious trauma: a validational study. J Trauma Stress. 2002;15:423-32. 26. Schlenger WE, Caddell JM, Ebert L, Jordan BK, Rourke KM, Wilson D, et al. Psychological reactions to terrorist attacks: findings from the National Study of Americans' Reactions to September 11. JAMA. 2002;288:581-8. 27. Neria Y, Besser A, Kiper D, Westphal M. A longitudinal study of posttraumatic stress disorder, depression, and generalized anxiety disorder in Israeli civilians exposed to war trauma. J Trauma Stress. 2010;23:322-30. 28. Cardeña E, Koopman C, Classen C, Waelde LC, Spiegel D. Psychometric properties of the Stanford Acute Stress Reaction Questionnaire (SASRQ): a valid and reliable measure of acute stress. J Trauma Stress. 2000;13:719-34. 29. American Psychiatric Association. Diagnostic and statistical manual of mental disorders. 5th ed. Arlington, VA: American Psychiatric Association; 2013. 30. Radianti J, Hiltz SR, Labaka L. An overview of public concerns during the recovery period after a major earthquake: Nepal twitter analysis. Proceedings of 49th Hawaii International Conference on System Sciences (HICSS), 2016:136-45. 31. Palm KM, Polusny MA, Follette VM. Vicarious traumatization: potential hazards and interventions for disaster and trauma workers. Prehosp Disaster Med. 2004;19:73-8. 32. Balasinorwala VP, Shah N. Acute stress disorder in victims after terror attacks in Mumbai, India. Br J Psychiatry. 2009;195:462. 33. Janoff-Bulman R. The aftermath of victimization: rebuilding shattered assumptions. In: Figley C, editor. Trauma and its wake: the study and treatment of posttraumatic stress disorder. New York: Brunner/Mazel; 1985:15-35. 34. Ahern J, Galea S, Resnick H, Kilpatrick D, Bucuvalas M, Gold J, et al. Television images and psychological symptoms after the September 11 terrorist attacks. Psychiatry. 2002;65:289-300. 35. Silver RC, Holman EA, McIntosh DN, Poulin M, Gil-Rivas V. Nationwide longitudinal study of psychological responses to September 11. JAMA. 2002;288:1235-44. 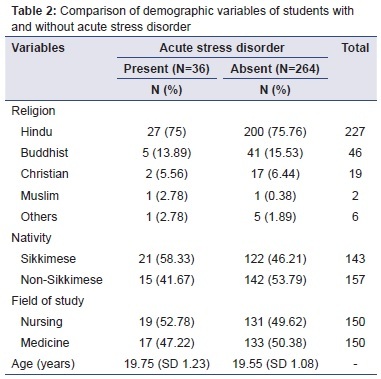 Sampath H, Soohinda G, Sharma A, Dutta S. Media exposure to earthquake-related content in its aftermath as a risk factor for acute stress disorder. Open J Psychiatry Allied Sci. 2018;9:152-6. doi: 10.5958/2394-2061.2018.00032.0. Epub 2018 Feb 28.